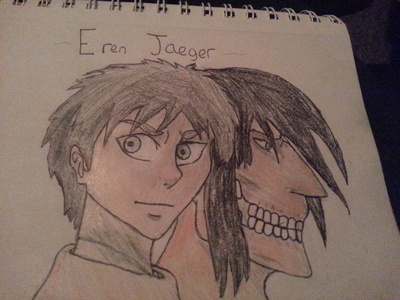 This is a picture of Eren i drew a while back ... what do toi think? Hiya! It's not so bad. I think toi did good job especially with the colored pencil color work.